During your outdoor event, it is important that your guests are able to view and experience the event unhindered. 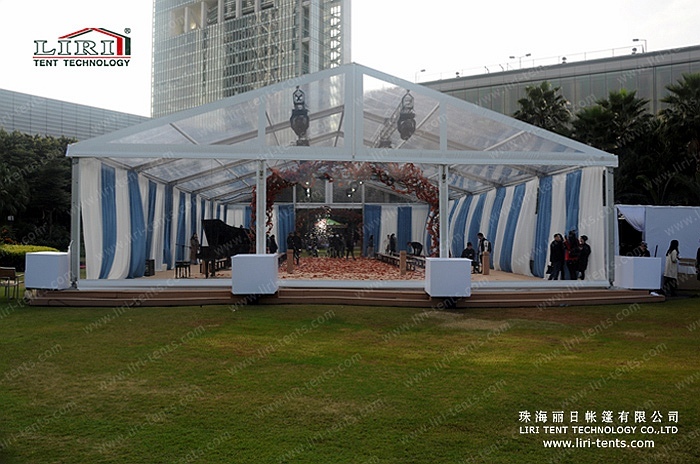 Clear event marquee from Liri Tent manufacturer is applied strong aluminum frame and transparent PVC roof cover. By providing a warm welcome for your guests and leaving them with a lasting impression, your event will help to optimise their experience and ensure their loyalty. 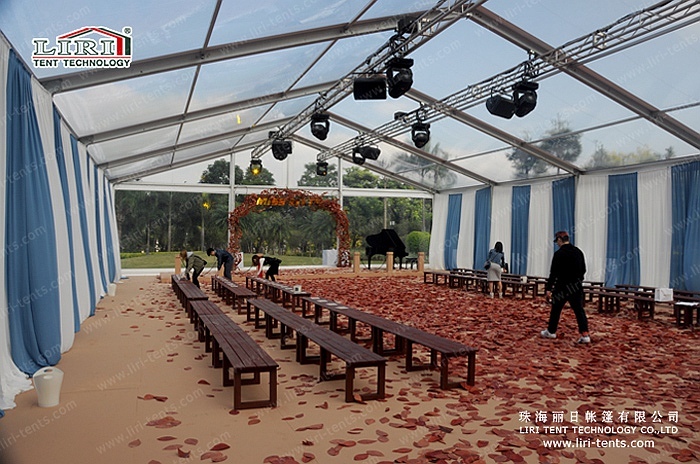 There are lots of optional accessories for our marquee, like glass or ABS hard walling system, double wing glass doors unit, windows, wooden cassette flooring system, etc. Whether the structures are being erected on your own site or elsewhere, safety is of paramount importance to us. That’s why we use wind and fire-resistant materials as well as making sure that the construction and anchoring meet all relevant safety requirements.